Outreach Debate — How can the ICC Improve its Outreach Efforts? Outreach Question How can the ICC and its stakeholders more fully address challenges to outreach and public information, better utilize technology and other methods to enhance understanding of the Court’s mandate and activities, and promote support for its work? The mandate of the International Criminal Court (ICC) is to contribute to the fight against impunity for international crimes through a fair and impartial trial, and thus to contribute to the prevention of such crimes. Making judicial proceedings public is one of the key elements of a fair trial. Justice must be both done, and seen to be done. It is accordingly important to establish an effective system of two-way communication, in particular, between the ICC and communities affected by its work, to promote understanding, manage expectations and provide access to judicial proceedings. The Outreach Programme of the ICC is led by the Registry. It targets the regions and communities affected by the crimes under investigation and prosecution by the ICC, using various communication tools, including face-to-face meetings, town-hall meetings and interactive radio and television programmes. In addition to outreach to affected communities, the Office of the Prosecutor needs to provide the public at large with information about its work and activities to promote an understanding of, and support for, its work, and to achieve its mandate to investigate and prosecute crimes under the ICC jurisdiction. There are increasing opportunities to utilise the internet and social media such as Twitter. Yet communicating clearly and consistently with a diverse, international, and often remote audience is no easy task. Reaching out to those in situations affected by the ICC’s work poses various challenges, including: unstable, unsafe environments; limited access to media, internet, electricity; polarized populations and media distortion; deliberate manipulation of information; under-resourced local media and civil society groups; concerns about security and independence of potential partners; lack of access to education and illiteracy in some affected populations; and the difficulties of providing material in local languages. The ICC’s founding instruments, its objectives, proceedings, decisions, and constraints can be difficult to understand for anyone not familiar with international justice. Further, the Court has limited resources to promote awareness and understanding of its mandate and activities. Public information and outreach activities must also take into account obligations and imperatives of the Court, such as confidentiality of information; preserving integrity of investigations; protection of victims, witnesses, and others at risk; and respect for the rights of persons being investigated or prosecuted. How, then, can the ICC improve its outreach and public information activities, and to what end? Which audiences should the ICC be most concerned with reaching out to, how best could they be reached? What information is most important to transmit to different audiences? How important is it to invest in promoting awareness of the Court? What can other stakeholders, in particular States Parties, do to enhance the outreach capacity of the ICC? How can they promote a better understanding of the ICC’s mandate and activities and build greater support for the ICC? How can deliberate or inadvertent misinformation about the ICC be addressed? How can the ICC or others more effectively use the internet, social media, or communications technologies? The ICC’s implementation of outreach could benefit from developments in new forms of technology. In order to assess the use of such new tools in designing effective outreach strategies, the ICC must first conduct mapping exercises to determine the level of access and technology infrastructure within a given community. Outreach is a critical component of the work of the ICC. Claims to the contrary can be countered through an assessment of the mandate and purpose of international justice. Although the ICC has adopted a comprehensive definition of outreach, there are still aspects relating to the broader objectives of meaningful engagement which must be included in the Court’s approach. Additionally, the ICC’s implementation of outreach could benefit from developments in new forms of technology. In order to assess the use of such new tools in designing effective outreach strategies, the ICC must first conduct mapping exercises to determine the level of access and technology infrastructure within a given community. Addressing any security threats, including through new technology, is crucial to this initial assessment phase. In terms of technology tools which facilitate communication, the ICC has several options for building partnerships with technology partners, including on the provision of hardware and tools which facilitate connectivity. Finally, in terms of the substance of the engagement, the ICC can also maximize partnerships with actors currently generating content on the work of the Court. However, technology tools cannot replace the need for developing culturally sensitive and gender appropriate methodologies, and securing the funding from the Member States in order to ensure the ICC is co-developing strong outreach and public information strategies with the affected communities. Assessments of past tribunals have demonstrated that without outreach, international justice takes place in a decontextualized vacuum which risks rendering the entire legal process pointless. However, there are several ways in which the very foundations of international justice require robust outreach and public information processes. Firstly, assessments of past tribunals have demonstrated that without outreach, international justice takes place in a decontextualized vacuum which risks rendering the entire legal process pointless. An in-depth population-based survey of the communities in Rwanda demonstrated that the work of the Rwanda Tribunal was virtually unknown to the majority of the population in Rwanda.5 This limited the impact of the Tribunal’s work to those immediately involved in the cases litigated at the Tribunal (although the impact for witnesses was not always positive), and thereby created a general view that international justice was an expensive waste of time. A similar population-based survey was conducted in the Balkans, and found that the judgments of the Tribunal were exacerbating existing tensions, since each side viewed the Tribunal’s judgments as either vindicating or denying their experience of the conflict. The conclusion of this study identified that outreach was crucial in providing information about the cases and understanding about the justice processes, including how cases were selected and how judges determined guilt through convictions or acquittals. Such information provided citizens the opportunity to situate the legal process within the broader community healing process and reconciliation. Although deterrence theory is a new area of analysis under international criminal law, it’s application within the context of the ICC is dependent on public information regarding the work of the Court. This social science research is particularly helpful in identifying the importance of outreach in achieving several aspects of the ICC’s mandate, as set out in the Preamble to the Rome Statute . First, the Preamble to the Rome Statute links accountability with peace and security,6 which thereby recognizes the broader context within which the Court operates, and thus the need for the Court to interact with actors outside the court. This places an obligation on the Court to engage with the full range of constituents responsible for maintaining peace and security, including directly to citizens through outreach and public information. Secondly, the Preamble highlights the objective of the international community to prevent crime through the work of the ICC.7 Research relating to penal theory, particularly with respect to deterrence, emphasizes the importance of knowledge of the law as a key variable within the factors that lead to a deterrent effect.8 Although deterrence theory is a new area of analysis under international criminal law, it’s application within the context of the ICC is dependent on public information regarding the work of the Court.9 Finally, most of the core activities set out within the Rome Statue depend to a large extent on voluntary cooperation with outside actors. This is particularly the case for the ICC which, unlike the previous Ad Hoc Tribunals, includes components of the civil law system through the victim participation process.10 In order to ensure the Court receives due assistance from intermediaries11 or obtains cooperation from potential victim participants or witnesses, the Court must actualize its obligation of ensuring fully informed consent through providing appropriate public information and conducting outreach to ensure that the greatest number of possible actors have access to the Court. This increased knowledge of the Court and its methods of operation will have a positive impact on the ability for outside actors to interact with the Court and thereby enhance the ability of the Court to achieve its mandate. In other words, outreach is not only required within the terms of the Court’s objectives, but conducting outreach is also in the Court’s own best interests. Understood in this way, the ICC outreach work would therefore also need to extend beyond the trials in The Hague, but also should extend to assisting with the Court’s positive complementarity work, and additionally, ought to address questions regarding the legacy of the Court. Both these issues (positive complementarity and legacy) are yet to be addressed in a clear strategy by the Court and the Member States. There are several emerging new tools, particularly those utilizing technology, which can assist the Court in overcoming challenges to outreach and facilitate the Court in achieving its mandate. Within the parameters of these definitional issues, many concrete challenges can be identified. There are several emerging new tools, particularly those utilizing technology, which can assist the Court in overcoming challenges to outreach and facilitate the Court in achieving its mandate. The most crucial challenge which ought to be addressed from the outset in any context is the question of security and protection. The ICC provides protection in only a limited range of circumstances, generally when individuals are put at risk as a result of their activities with the Court.18 However, in certain situations, even holding information about the Court (such as through attending outreach sessions or obtaining public information documents from the Court) can put a person at risk from targeted retaliation attacks by entities opposed to the Court’s operations. By conducting a thorough risk assessment in preparing a communications strategy in advance of entering a new situation, ICC staff can ascertain the means by which the Court can engage with people within a given country, and thereby identify the security risks associated with the means of communication and the means of engagement primarily utilized in that country. There are several groups which provide security expertise and training, and keep abreast of technology developments and the new emerging challenges. For example, Security First covers protection issues responding to the full spectrum of threats faced by human rights defenders, from physical risks through to threats to confidentiality.19 Security First is currently compiling an interactive app called “Umbrella” which will allow a human rights defender to choose what they want to do, such as: conduct risk assessment; securely make a call/email; securely access the internet; encrypt data; plan secure travel; protect their office/home; plan counter-surveillance; measure insider threats; use a safe-house; or deal with kidnapping, arrest or evacuation.20 Tactical Tech21 also provides training materials on security and protection such as Security-in-a-Box,22 and Mobiles-in-a-Box for cell phone security.23 Another NGO called Mobile Active24 provides similar support through their SafeMobile project. Also for cell phones, Amnesty International has devised a tool called the “Panic Button” which will alert an emergency contact should the button be activated on the device in the case of a threat.25 The ICC could collaborate with such experts in security and protection in order to devise robust communication strategies that are safety-orientated. The extent to which technology is utilized within a given ICC situation country is critical in devising an outreach and public information strategy which will maximize the opportunity for a meaningful engagement. Technology is often critical to the establishment of contact and enabling dialogue. International courts and tribunals typically rely upon intermediary organizations such as survivor networks and local human rights groups in order to initiate communication and conduct outreach. However, in order to best design innovative and meaningful outreach strategies, the ICC must build strategies which are reflective of the technology infrastructure within a given country and region. This requires the ICC to conduct a mapping of the technology infrastructure and use. There are several organizations which are active in mapping global communication infrastructure, for example, the Engine Room is developing a project called TechScape to provide empirical data on technology use.26 The World Bank27 and internet services providers also typically conduct reviews of market access. Depending on the access to mobile technology, the ICC could utilize tools which target either Smartphone platforms or non-Smartphone platforms. For example, access to cell phones is increasing rapidly, with access growing at 366% in East Africa in the last five years and 260% in Central Africa.28 However the Court must be sure to assess each country individually, since access varies dramatically per country—for example, 85% of the population in Cote d’Ivoire have access to cell phones whereas 17% have access in the Central African Republic.29 Access is also dominated by gender and other societal dynamics, with women overall 23% less likely than men to own a mobile phone within the Africa region.30 Depending on the access to mobile technology, the ICC could utilize tools which target either Smartphone platforms or non-Smartphone platforms. For example, Frontline SMS utilizes SMS text messages to connect phones around content-sharing and interacting through group messages and receiving feedback.31 This tool is open source and can be customized according to the requirements of the context. Another group, People’s Intelligence, utilizes a similar interactive SMS-text phone format to collect information regarding human rights abuses.32 For Smartphone users, there are additional sources which could be of assistance in developing engagement platforms with the ICC, such as Obscuracam developed by WITNESS and The Guardian Project, which allows people to record video whilst pixilating the faces of respondents who wish to remain anonymous.33 Several key computer research centers have capacity to address communication challenges and the ICC could engaged with institutions such as Carnegie Mellon University to identify potential technology solutions to outreach and public information challenges.34 Over 2015, the Open Society Justice Initiative will be working with partners to coalesce these emerging tools into a set of guidelines to assist NGOs in interacting with the ICC. Although the focus will be around the collection of potential information for the cases, the means of interaction will also be of potential use for public information and outreach activities. In instances of limited technology infrastructure, there are several hardware based developments which the ICC could consider in order to facilitate access to its constituency. Perhaps the biggest challenge facing the outreach and public information program is designing communication strategies jointly with communities, and yet finding means to ensure balanced representation of voices. The ICC must strive to ensure their communications are gender-balanced, culturally sensitive, and empowering for voices which may typically denied space within their own community. This challenge has faced cross-cultural disciplines for decades, the social sciences have developed complicated participatory modes and the ICC could learn a lot from more creative means of creating dialogue.51 Unfortunately, there is no snazzy technology fix for designing such sensitive processes. And even more unfortunately, all components set out in this discussion depend entirely upon the financing provided by the Member States. Alison Cole, States Must Support the ICC’s Use of New Technology for Outreach, ICC Forum (Feb. 17, 2015), available at https://iccforum.com/outreach#Cole. How can the ICC Improve its Outreach Efforts?, ICC Forum (Feb. 17, 2015), available at https://iccforum.com/outreach. To garner long-term and strong support for the International Criminal Court, its mandate and work must be communicated through a human rights education frame. The latter requires the engagement of civil society actors partnering with state parties via formal schooling and informal education designed to emphasize the empowered rights bearing person. Given the worldwide legitimacy of education, linking human rights endeavors to teaching and learning human rights is pragmatically compelling. … The same educational re-framing could cast the role of the International Criminal Court as upholder of international human rights norms and a last resort to make all individuals accountable for their behaviors in this domain. The International Criminal Court represents a core institution within the global human rights regime. Since World War II, this regime has entailed an increase in human rights treaties, organizations, conferences, and discourse. In addition, there has been a rise in human rights education organizations, conferences, and publications. Established human rights advocacy groups such as Amnesty International have shifted from a mostly legal lens to a broader educational emphasis. This global human rights activity culminated in two United Nations decades of human rights education and even the articulation of the right to a human rights education. Given the worldwide legitimacy of education, linking human rights endeavors to teaching and learning human rights is pragmatically compelling. In practice, many an established citizenship right has been re-framed as a human right; civic education morphs into human rights education. The same educational re-framing could cast the role of the International Criminal Court as upholder of international human rights norms and a last resort to make all individuals accountable for their behaviors in this domain. Such a re-framing raises questions about state sovereignty. Yet it is precisely the educational path that allows one to reflect on both the historical rise of national states and the emergence of a more inclusive national citizenship and the contemporary and expanded focus on personhood and human rights. The horrors of World War II, often associated with excessive nationalism, paved the way for this contemporary expanded focus. Further skepticism regarding such a re-framing might come from those who question the efficacy of human rights norms in general and the International Criminal Court in particular. My own research suggests, however, that some human rights developments are consequential. The International Criminal Court (ICC) is a legal institution that affirms the rights of individual persons and imposes obligations on other individuals, including state actors, to respect these rights or face prosecution. In my opinion, few Americans outside of legal circles know about the ICC. The few that do may think of it as a failed institution1 and perhaps even know that its development was contested by the United States State Department. If one reflects more seriously on the international human rights regime, one would have to acknowledge that despite its roots in the fundamental freedoms celebrated in the Atlantic Charter, the United States, the United Kingdom, and the Soviet Union had serious reservations about human rights.2 These reservations reflected different national vulnerabilities, such as race, the colonies, and a single party state. They also indicated a concern over infringements of national state sovereignty. While the major powers hesitated, other and often newly emergent countries took up the human rights cause. Once the human rights genie was removed from the Westphalian bottle, it acquired a life of its own. To be sure, national sovereignty is affirmed in the United Nations Charter, especially in Article 51, Section 1. However, in the post World War II era, national independence movements evoked human rights, as would the civil rights, women’s rights, and other social movements throughout the world. A cross-national analysis of over three hundred social studies textbooks from sixty countries, for instance, finds a dramatic rise in the use of the phrase ‘human rights’ between 1975 and 2008. Today, the global landscape is dotted with international and national human rights organizations.3 More recently, human rights education organizations and conferences have emerged and proliferated.4 It is clear that the earlier and more specific legal lens has broadened to include an educational emphasis. A cross-national analysis of over three hundred social studies textbooks from sixty countries, for instance, finds a dramatic rise in the use of the phrase ‘human rights’ between 1975 and 2008.5 The human rights emphasis especially grows in the post 1995 period and is much more likely to be found in textbooks with a more student centric pedagogical format. The latter is globally on the rise and often celebrated as the route to critical thinking as opposed to rote memory. Women’s and children’s rights are re-framed as human rights and communicated as such to young people throughout the world. These educational developments are consistent with global political changes. The proportion of countries that have ratified the Convention to Eliminate all Forms of Discrimination Against Women (CEDAW) has sharply increased,6 as has the proportion of countries with a human rights commission.7 For both of these outcomes, the increases seem to be triggered by international conferences that highlight human rights issues. These conferences directly (in site) or indirectly (anticipatory socialization) generate what some researchers call a normative cascade or bandwagon.8 They constitute part of a wider world culture in which nation-states are expected to affirm support for human rights. Those that do not actually ratify the treaties claim that their constitutional frameworks already embody human rights principles (the United States’ argument). Those that express broad reservations regarding the treaties they ratify risk being “called out” (consider, for instance, Denmark’s remarks toward Saudi Arabia regarding CEDAW ratification). All these developments suggest a secular trend in the direction of de-emphasizing some aspects of state sovereignty in favor of a worldwide consensus regarding human rights. Textbooks do not problematize human rights as undercutting state authority. Quite the contrary: the implicit message is that the good nation-state is one committed to human rights. Of course, it is naïve to assume that ratification leads to improved human rights practices. Indeed, it is repeatedly argued that ratification is often nothing more than window dressing, a form of organized hypocrisy that actually conceals human rights violations. Non-Western countries can invoke their cultures to justify limitations on the freedom of assembly or speech, but the right to torture is not one that generates justifications on the grounds of cultural relativism. Despite opposition from the United States and other powerful countries, membership in the International Criminal Court has increased, from Senegal in 1999 to the current 122 countries that are now state parties to the Rome Statute . To be sure, its operations require support from the Security Council, which in turn depends on the support of state party members. There is much skepticism regarding its actual or even potential efficacy. There is less social science research focused on the ICC than on human rights treaties or organizations.10 However, it is important to bear in mind that physical integrity issues are at the core of the mandate of the ICC and, as noted above, there is more global consensus regarding physical integrity than as regards other rights. Non-Western countries can invoke their cultures to justify limitations on the freedom of assembly or speech, but the right to torture is not one that generates justifications on the grounds of cultural relativism. This greater normative consensus explains why so much of the energy of Amnesty International and other human rights advocacy groups focuses on physical integrity issues. As our vision of citizenship traverses national boundaries, we need education that emphasizes the virtues and rights of personhood and the need to foster and defend these human rights. In the long run, support for the Court will require that the youth of today know more about its mandate and the obstacles it faces. In my opinion, this requires more clearly situating the ICC within the global human rights regime and more directly pursuing the human rights education path. In practice, this educational strategy means more conferences, more organizations, and more discourse that disseminate the work of the International Criminal Court to more youthful audiences. It means engaging civil society actors and expanding the network of stakeholders beyond state authorities. In this endeavor, building on the work of human rights educators is paramount. Francisco O. Ramirez, To Garner Long-term and Strong Support for the International Criminal Court, its Mandate and Work Must be Communicated Through a Human Rights Education Frame, ICC Forum (Feb. 17, 2015), available at https://iccforum.com/outreach#Ramirez. The content, strategies and methods of outreach and public information must be based on evidence, localizing outreach and responding to the needs and expectations of heterogeneous communities affected by mass violence. The evidence must also define realistic outreach goals. There are no doubts that public information and outreach strategies are critical for the ICC’s operation, legitimacy, and public impact. How to do outreach effectively, however, remains a major challenge. Too often, outreach is done with a limited understanding of the context in which engagement with affected communities must take place. There are no doubts that public information and outreach strategies are critical for the ICC’s operation, legitimacy, and public impact. How to do outreach effectively, however, remains a major challenge. Too often, outreach is done with a limited understanding of the context in which engagement with affected communities must take place. Our research shows that outreach strategies must define and understand its target audience, especially key subgroups relevant to the work of the court. These groups may have different, even competing information and communication needs. Outreach to these various groups must be targeted using tailored content that is culturally appropriate and address prevailing questions. Similarly, the means of engagement of the public must reflect media and information consumption habits of each group. New technologies offer unprecedented, reliable and cost-effective abilities to engage with large number of people in a near real time way, but may not be appropriate for all groups. Rapid polling and survey methods offer somewhat more traditional ways to consult less connected people. Even when outreach strategies are informed by population-based evidence, outreach remains challenging and affected by the pace of proceedings at the Court. Maintaining interest and relevance is a key challenge. Finally, the expectations that outreach should have a widespread effect on knowledge and attitudes about the court are often unrealistic. Rather, evidence on education, literacy level, information sources and consumption among other should help define realistic goals against which progress can be measured. Without some level of knowledge about the Court, victims may be unable to come forward and participate in proceedings, and may be unsupportive of justice efforts they do not understand. Broader, and arguably less realistic, goals of societal change associated with the ICC, such as the promotion of the rule of law, accountability, and peace and reconciliation, also require, at a minimum, some level of understanding of the work of the Court. The idea that the ICC’s operation, legitimacy, and public impact depend on how much communities affected by violence understand the Court is widely accepted. Without some level of knowledge about the Court, victims may be unable to come forward and participate in proceedings, and may be unsupportive of justice efforts they do not understand.1 Broader, and arguably less realistic, goals of societal change associated with the ICC, such as the promotion of the rule of law, accountability, and peace and reconciliation, also require, at a minimum, some level of understanding of the work of the Court.2 A lack of understanding of the work of the Court, on the other hand, may result in the spread of misconception and rumors, enabling the politicization of the Court and undermining justice efforts. It is not until the late 1990’s that the importance of communicating with affected communities was recognized as a central role of tribunals. Lessons from the International Criminal Tribunal for Rwanda (ICTR) and the International Criminal Tribunal for the former Yugoslavia (ICTY) showed that the failure to adequately engage with the population had undermined the legitimacy and legacy of both tribunals.3 Since then, international and hybrid tribunals set up to judge serious crimes around the World have all undertaken public information programs, developing an understanding of outreach as a two-way communication effort to build a bridge between affected communities and Courts. Despite the growing experience of reaching out to communities affected by violence to engage in a dialogue around the ICC, practitioners’ understanding of how to do this most effectively remains arguably quite poor. Outreach strategies are primarily rooted in assumption about how to best communicate with affected populations, with the occasional interest in adopting innovative approaches and technologies. Lacking is a detailed understanding of the context within which outreach must take place. Outreach evaluation—the process of gathering data about information consumption patterns, target groups, and about knowledge, attitudes and practice relating to the ICC—can be done fairly rapidly and effectively using mixed methods that combine the collection of qualitative and quantitative data to inform the design and assess the effectiveness of outreach efforts. Outreach evaluation has in fact been used by the ICC outreach unit to inform its strategies and evaluate its impact. These efforts, however, are limited by the lack of funding for outreach in general, and more specifically for the gathering of data that should guide outreach efforts. Outreach strategies are primarily rooted in assumption about how to best communicate with affected populations [...] Lacking is a detailed understanding of the context within which outreach must take place. This is a remarkable achievement considering the logistical and technical challenges of operating in the region, and the overall weakness of information systems. Much of this accomplishment is due to expanded coverage by the media, as well as a combination of outreach activities by local NGOs and the ICC outreach unit. However, knowledge and understanding of Court proceedings remains low—In 2013, just 9 percent of the respondents described their knowledge of the ICC as good or very good. Furthermore awareness data hide important inequalities. Awareness about the Court was significantly lower among adult women (33% had heard of the court) compared to men (75% had heard of the Court). When they did hear about the court, women were twice more likely than men to have relied on informal sources of information, such as family and friends, rather than the media. Similar inequalities have been documented in other situations where the ICC intervenes, such as the Central African Republic.5 Unsurprisingly, poor, rural, uneducated women tend to have lower awareness and knowledge of the Court. They also tend to rely more than any other group on informal information sources rather than the media, which opens them to misinformation. Second, outreach must deliver targeted outreach content based on the characteristics and information and communication needs of the target groups. There are important differences in the type of questions raised by the public regarding the involvement of the ICC across situations. Affected communities in northern Uganda may be focused on the impact of the ICC on peace processes, while affected communities in eastern DRC may be more focused on specific on-going trials. Even within a given situation, the widely different levels of knowledge and perception about the Court among various groups need to be taken into account in the outreach strategy. This is especially critical in situations where outreach must be sensitive to pre-existing structural inequalities and divides that exist along socio-economic lines, including ethnicity. In Ituri, eastern DRC, for example, our research found that perception of the Court differed across ethnic groups, reflecting a perceived bias on who was treated as victim and who was treated as a perpetrator of mass violence. The means of delivery is critical, especially as the rapid growth of mobile connectivity (including mobile internet connectivity) offers unprecedented abilities to engage in two-way communication with affected communities, sometimes in near real-time. Data streams, such as online posts on social media can further be used for mood analysis, helping measure perception of the ICC. Other forms of engagement in social media are also rising (the ICC has a YouTube channel), but generally, outreach has been slow at adopting new technologies. This partly reflects situations in the field, but a clear analysis of the most effective way to reach various outreach target groups is generally missing. Fourth, outreach must be both timely and continuous. One challenge for outreach is that ICC proceedings can be lengthy. Maintaining the interest of the affected communities is important but challenging in this context: In eastern DRC, despite ongoing trials and condemnation, about half the population felt the ICC had had no impact on peace (52%) or justice (51%). The rest were somewhat evenly divided between those advancing positive and negative impacts. In Uganda, the absence of any proceedings (until the recent arrest of Dominic Ongwen) meant that the ICC had slowly become less relevant to the people, undermining their support for the Court. Finally, fifth, results of outreach must be measured against realistic expectations. Ideally, outreach should contribute to a universal knowledge and understanding of the Court among affected communities in situations where the Court intervenes. In practice, however, it is an impossible goal to achieve, especially in contexts where literacy may be low, information networks are lacking, and the population may have little exposure and experience with formal justice systems. In other words, is it realistic to expect the population to know more about the ICC than they do about their own justice system? A related issue is that benchmarks are arbitrary. In eastern DRC, 52% of the adults have heard of the ICC (2013). In the Central African Republic, it is 32%, compared to 94% in Abidjan, Côte d’Ivoire. But arguably, reaching an awareness level of 32% in CAR is more complex than reaching nearly 100% in Abidjan. Outreach goals must therefore be carefully identified, taking into account a range of variables that include education level, communication infrastructure, etc. Together, these five points call for a localized, or contextualized, approach to outreach that builds on evidence of the differences in opinions prevailing within affected communities, as well as differences in information and communication needs and in access to information and technology. The methods we have developed offer low cost opportunity to gather such data. Other advances in technology may help further build extensive, reliable, and low cost two-way communication mechanisms between the Court and the individuals served by the Court. However, the means of communication and content of outreach should be carefully designed to serve even the least connected. Patrick Vinck & Phuong N. Pham, The Content, Strategies and Methods of Outreach and Public Information Must be Based on Evidence, Localizing Outreach and Responding to the Needs and Expectations of Heterogeneous Communities Affected by Mass Violence, ICC Forum (Feb. 17, 2015), available at https://iccforum.com/outreach#Vinck. Does it really make sense to send representatives to remote rural regions of the world to try to bring news in-person of the ICC’s activities? Given a limited budget and resources, any outreach effort needs to make choices: who to reach, how to reach them, and what to say. As a young institution telling its story to the world, what are the right choices? 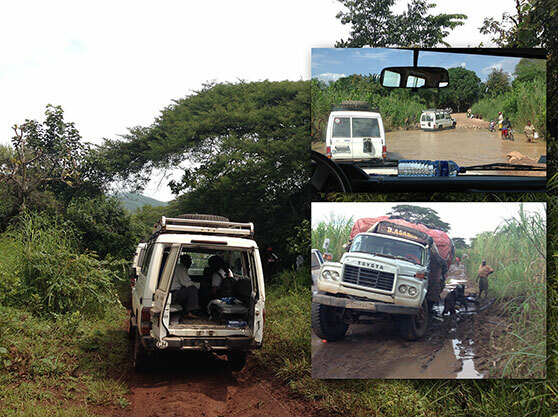 On a gray day in March, an ICC field officer and his associate leave their temporary office in Goma1 driving in a 4×4. In the back, they carry a portable generator. Stowed behind the driver’s seat are a computer and a projector, carefully wrapped in blankets to cushion them for the long bumpy trip. About forty people, many of whom have never heard of the ICC, gather in the small church at the center of the village. The field officer gives a speech in French that his associate translates into Lingála. He talks about the ICC and its mission. Then, on the whitewashed wall, he projects a video clip showing Bosco Ntaganda, known to many of the villagers as “The Terminator,” in a confirmation of charges hearing taking place in a courtroom in the Hague. The video is captioned with subtitles in Swahili. The villagers struggle to make sense of what they are seeing, but they’re interested and engaged. Afterwards the field officer answers some questions. Then the associate administers a questionnaire consisting of a series of yes or no questions about the attendees’ perceptions of the ICC. The comments received are mostly positive. Everyone seems pleased by the experience. Those are all worthy goals, even if they are difficult to achieve. But does it really make sense to send representatives to remote rural regions of the world to try to bring news in-person of the ICC’s activities? Given a limited budget and resources, any outreach effort needs to make choices: who to reach, how to reach them, and what to say. As a young institution11 telling its story to the world, what are the right choices? Once choices have been made, outreach products must be designed and executed. What should those materials be like? How can they be made more effective? What strategy should be used for their design, execution, and distribution? The outreach question posed by the Prosecutor is a complex one with many parts. To respond to the question requires that we untangle the different motives for outreach, dive deep into the ICC’s goals for its materials, examine the process used to create them, and candidly point out issues and solutions along the way. We’ll separate those materials that need to be continuously created from those that need to be created only once. We’ll discuss how information flows outward from the Court to the media and other organizations, and how those other entities repurpose that information to satisfy their own goals. We’ll examine how using a design process can help create great outreach materials. And we’ll provide examples of how creativity and creative partnerships can extend the reach of the ICC and its budget. We’ll touch upon how partnerships between the ICC and other organizations can greatly increase the reach of the ICC at very low cost. Perhaps unsurprisingly, we cite this website—the ICC Forum—as a favorable example of an effective partnership. Keeping in mind that witnesses and victims—at least identified victims—are the responsibility of the ICC’s Victims and Witness Unit (VWU) and not the Outreach Unit,14 we’ll take a hard look at the efficacy of trying to send representatives in person to rural locations in situation countries15 to meet with the Affected Public. Before concluding, we’ll take a detailed look at the ICC’s website—its most important outreach tool—and offer suggestions for improvement. In 2013 and 2014, the ICC spent over €3 million annually on its outreach effort.16 What is outreach17 and why would an organization18 want to engage in it? The term “outreach” has two meanings. It can refer to a charitable activity—a church serving food to the poor. But it can also can refer to an organization’s desire to use communication to advance its own goals. The distinction is fundamental: does the activity advance the goals of the recipients or the organization? What if the goals are mixed? What if the hungry people must listen to a sermon before receiving food? A church might believe that delivering the sermon serves the goals of the recipients. But that’s incorrect. The church is advancing its own goals by using the sermon to communicate with its audience. High-minded, altruistic motives don’t convert the church’s goals into those of its audience. The sermon is promotional; providing the food is charitable. Marketing is the activity that an organization does to advance its goals by persuasively communicating with an appropriate audience. The ICC serves communities when it investigates, prosecutes, defends, imprisons, and adjudicates the guilt or innocence of individuals. But that service isn’t done through outreach. The Court has no mandate to serve local communities through a charitable form of outreach; the Rome Statute is silent on the matter. Let’s disentangle this at the outset so that we don’t confuse a promotional activity with a charitable one. The ICC’s outreach efforts are designed to advance the ICC’s goals. The taint of commerce clings to the term marketing; perhaps using the term outreach removes some of the commercial sting. But when used in its promotional sense, outreach describes the same activity as marketing. So let’s define marketing. Marketing is the activity that an organization does to advance its goals by persuasively communicating with an appropriate audience. Marketing goals tend to be few in number, and they are usually quite specific. For commercial projects, the goal is usually to sell a product or service; for non-profits, the goal is generally to raise money or awareness. Ancillary goals for both companies and non-profits are often about increasing goodwill. It needs to effectively counter political attacks. When the African Union or the president of Kenya, Uganda, or Zimbabwe denounce the Court, there needs to be an effective response. Similarly, the Court needs to be able to respond to inappropriate media criticism and errors, and be part of the news cycle regarding ongoing international conflicts. Given many goals and limited resources, only scant support can be allocated to any single goal. The Court’s outreach effort risks being stretched too thin, trying to do too much with too little. That’s a lot of goals for a marketing program. Taken individually, these goals would be difficult to achieve. But trying to achieve all of them results in a loss of focus. Goals should form a locus—a magnetic north—towards which all marketing efforts point. When there are many dissimilar goals, marketing materials can’t effectively point to all of them. At best, some materials address some goals, while some materials address others. Often however, materials will try to support too many goals and become diffuse, not effectively supporting any of them. We grant that all these goals are worthy—who isn’t in favor of deterrence? Who doesn’t want to support the disabled?—but how does one distinguish the most important goals without prioritization? Given many goals and limited resources, only scant support can be allocated to any single goal. The Court’s outreach effort risks being stretched too thin, trying to do too much with too little. Every marketing program exists within real-world constraints; we live in a world of restricted budgets, tight deadlines, and limited human resources. No project can do it all; choices have to be made. All marketing efforts need to focus on what is attainable: given the constraints, what can be done to advance the organization’s goals? Practicality must infuse the choices made during the design process. This often requires considerable internal negotiation over priorities. “We’d love to be able to do that, but we just can’t afford it right now.” At the end of the design process, what’s left is what’s doable. While creating a painting, an artist might not worry about who will see it; distribution can be an afterthought. But in a marketing campaign, identifying the distribution channel comes before creating the product. Distribution channels are chosen to reach particular desired audiences. Reaching European voters, for example, requires different channels than reaching Kenyan law students. Technology vastly amplifies the reach of a marketing product.41 While it’s possible to reach people who do not have access to technology, it’s much more expensive. The per person cost of reaching an audience of European voters might be measured in pennies, while the per person cost of reaching the Affected Public in remote villages in the DRC might be measured in the tens or hundreds of euros. Figure 1 Quadrant diagram explores types of marketing materials based upon distribution alternatives suggested by audience attributes. In Figure 1, above, two independent audience attributes are used to explore distribution alternatives. The first attribute, the horizontal axis, is whether the user is seeking the information (“pull”) or, alternatively, whether the ICC is pursuing the user to deliver information (“push”). The second attribute, the vertical axis, is whether the user has access to technology or not. In Figure 1, some media examples42 are provided for each of the four quadrants to illustrate how they vary depending on the two user attributes. Materials take the form dictated by the chosen communications technologies. If you’ve bought television commercial time, you need to create a video spot; if you’ve bought a highway sign, you need to create a billboard; if you’re developing a website, you need to create web content. News Materials are about what’s happening now. They include recently released Court documents, newsmaker interviews, press conferences, footage from the courtrooms, daily trial summaries, and other current happenings at the Court. Like most news, timeliness is a key consideration; these materials expire. And since the Registry is charged with remaining neutral in ongoing situations, the presentation of News Materials has to be carefully free of bias or advocacy. News Materials tend to be dry, but they don’t have to be dry as dust. They can be enlivened with news judgment, a knowledge of history and context, keen observations, good writing, and production craft. Context Materials are about the Rome Statute, the founding and history of the Court, the place of the Court in the international system, the aspirations of the Court, and the reach and limitations of the Court. As a relatively new international institution, the Court needs to educate the world about all this and more: international criminal law generally, including its history and development; the important treaties and declarations; the ad hoc tribunals and the United Nations; human rights; and so on. Context Materials do not tend to expire, although they do need to be kept up to date. The production of News Materials is ongoing and, for the most part, created through a pre-existing workflow. Daily trial summaries require a production pipeline: each time, someone has to write the summary, someone has to deliver it to camera, someone has to edit and package it, someone has to push it through the existing distribution channels. A press release runs through a pipeline as well, as does posting Court documents on the website. The production of Context Materials is completely different. Each new product is a one-off. It has to advance some goal of the ICC, and it has to be tailored to its audience. It needs to be carefully conceived, designed, and produced; it needs to be interesting, creative, and imaginative. A marketing effort identifies appropriate audiences by broadly categorizing those who might be both receptive to its message and able to help satisfy its goals. When the goals are commercial, the identified audiences are those who might purchase a product or utilize a service. When the goals are political, the identified audiences are those who might advance those goals through voting, contributing, or advocacy. For the ICC’s outreach effort, each goal has a different, although potentially overlapping, set of appropriate audiences. Media repurpose the materials to generate a product they can sell: newspaper and magazine articles, television reports, blog postings, and the like. Organizations—including NGOs; Academics; and International, Governmental, and Academic Institutions—rely upon the material to shape their own work product. NGOs use it to influence their work with the Affected Public and otherwise; Academics use it as material to research, analyze, and criticize; Academic Institutions use it to affect their curricula; International and Governmental Institutions use it to influence policy. The Affected Public uses the information to understand the impact on themselves and their communities. The General Public absorbs the material in accordance with their widely varying personal and idiosyncratic interests. When targeting this group, it will be necessary to further divide it by considering additional characteristics: culture, language, education, degree of interest, technological access, geographic location, and so on. It’s important to understand how these different audiences are likely to use these materials before creating them. Seeing the materials through the audiences’ eyes helps create materials that they will find useful. Useful materials have more impact and are more likely to be redistributed to others. The ICC disseminates News and Context Materials44 to its four basic audiences: Organizations, Media, the Affected Public, and the General Public. The different audiences use that information in ways that are meaningful to them. Figure 2 Information flows from the ICC to various audiences who then redistribute that information in a variety of ways. Information doesn’t just flow from the ICC outwards; it is also shared between the various audiences. Each repurposes the information in official and unofficial flows among the other groups. Journalists repurpose the ICC’s information to create the products they sell. Organizations actively work with the individuals they serve.45 Individuals communicate with each other in a variety of means, some of which are likely to be unanticipated by the ICC.46 Taken together, information flows freely from one audience to the next. Organizations and Media have far greater access to technology than the Affected Public. They are much more likely to pull information from the ICC than depend upon push marketing from the Court; in Figure 1 above, they will be found primarily in the first quadrant. And, importantly, they have far more contact with the Affected Public and the General Public than the ICC can ever have. They often share cultural roots with the communities they serve. Considered collectively, Organizations and Media command more man-power, money, and resources. Of course, their focus isn’t on advancing the Court’s goals. They’ll only use the ICC’s materials if they find them useful to advance their own goals. Figure 3 Information surrounds the Affected and General Publics. It’s not enough to create a lot of content. The content also has to be good. Unfortunately, much of the Court’s outreach content is not. For Context Materials, unlike News Materials, there’s no need for the Registry to stay neutral and unbiased. The Registry can strongly advocate for the ICC, its history, and its importance in the international order. assessment:60 determine whether the materials actually answered the creative brief and any lessons learned in the process, and then use that information to inform the next design cycle. Figure 5 A design process—illustrated here in an eight step animation—helps create effective materials focused on the organization’s goals, and targeted to the right audience. Consider the following realistic marketing fantasy. The intent of this hypothetical is to show how the design process can be used to create a product and how information flow can amplify distribution. Discover: The process begins with the discover step. In section II(B), supra, we discussed discovery in terms of identifying and prioritizing the ICC’s goals for its materials; and in section II(E), supra, we discussed how to pick appropriate audiences to advance those goals. We won’t repeat that information here. Choose: The next step is to write a creative brief. The ICC is interested in conveying certain topics. But the audience is also interested in particular topics. When choosing what to cover, it’s best to pick an intersection between the two. In this example, the choice is made to explain human rights—as defined in the Universal Declaration of Human Rights (UDHR)—to the Affected Public. We want to reach the Affected Public. The material should make the UDHR interesting and accessible to a semi-literate audience. There’s very little money available to create the product. The final product should be able to be distributed locally by our people on the ground in situation countries. The creative brief is a negotiated document. The stakeholders need to agree that it properly sets forth the problem.61 But it should stop there—a creative brief shouldn’t offer a solution. Design: Then the product needs to be designed. The project can be outsourced or, if the appropriate resources exist internally, assigned in-house.62 The designer figures out doable strategies that answer the creative brief. By using creativity to work within the constraints, the designer comes up with a targeted design solution. We’re going to sponsor a contest asking people to illustrate the individual articles of the UDHR. We’ll take the best submissions for each Article and create individual color posters that will be joined together to form a single PDF file. The PDF file can be considered a graphic comic book when viewed in its entirety or the individual pages can be printed as color posters by the field offices. In addition to conveying the information, we hope the artwork helps generate an emotional impression. By making it a contest, we’ll gain extra attention for the project, and we’ll give the newspapers a story for presenting the materials. We’ll make it clear that the PDF can be freely repurposed—maybe we can get some viral distribution. The designer includes a sample page giving an idea of how the final might look. 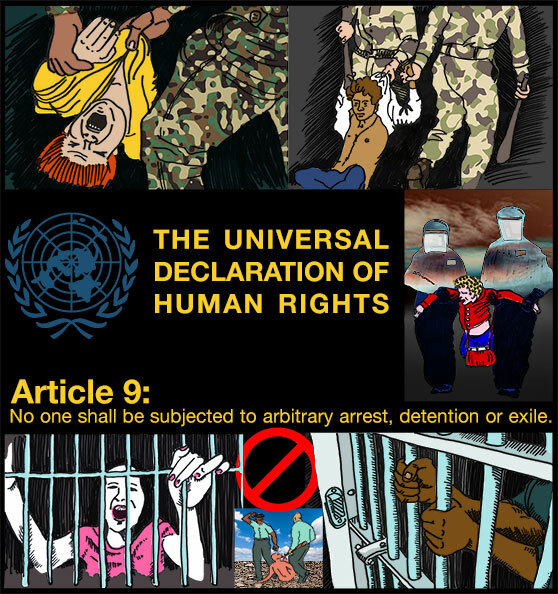 Figure 6 Designer’s sample page to show how a contest might be used to illustrate the Universal Declaration of Human Rights. Produce: Now the project needs to be produced. The producer63 uses her social media expertise, contacts acquaintances in the media, and puts out a call on the Internet for the contest. There’s some interest from media organizations: a few create stories about the ICC’s contest. There’s a decent response from the public. The producer creates a layout with the best submissions merged into a final product. Distribute: The PDF is put up on the ICC’s own website and distributed electronically to the ICC field offices with instructions to output individual pages on color inkjet printers. The posters go up locally in several locations near the field offices. The poster set is also distributed to the Media. More stories are created about the contest and the poster set, including several human interest profiles about the people who created the illustrations. 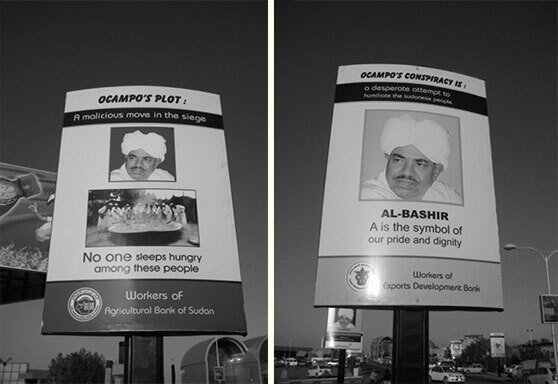 Images of the posters appear on a number of Media websites. The images are tweeted and retweeted. They are posted on several LinkedIn and Facebook groups that send out emails to their members featuring the posters. Even months later, some of the illustrations are seen to accompany news articles about human rights—a notable use included a big spread in Uganda’s Daily Monitor on a feature story about government police abuses. Because they advance its own goals, Human Rights Watch (HRW) puts the material up on its website and sends it around its network, including those in the field. Other human rights organizations pick up the electronic posters and make them available on their websites. The Human Rights Action Center prominently features the material to its supporters. Amnesty International was already creating packets of materials about human rights for schools in the Central African Republic; they reprint sets of the PDF on glossy color paper and include them in the packets. The Office of the United Nations High Commissioner for Human Rights decides to use the materials as part of its own educational efforts. The Wikipedia entry on the UDHR links to the materials. The posters get some more attention on Twitter. Some schools in the DRC receive a donation of inexpensive computers. The organizers preloaded the PDF, together with other content, onto those computers. Some teachers who received those computers give their students the challenge of making their own illustrations from Articles of the UDHR. Evaluate: Did the product meet the requirements of the creative brief? Did it reach the desired audience? Was it effective? Inform: Communicate what could be done better next time to those charged with the design and creation of the next round of materials. Context Materials tend to be evergreen—they don’t expire. Since they last a long time, it’s a good investment to spend a bit more to get them right. In this case, while the materials were well-liked, no one remembers that they came from the ICC. The ICC brand was on the front cover of the PDF packet, but not on the individual pages—and most people saw the individual pages used as posters and illustrations. Oops. Lesson learned. Next time, the ICC brand will be put onto each page. This information is communicated back to the outreach team. Context Materials tend to be evergreen—they don’t expire. Since they last a long time, it’s a good investment to spend a bit more to get them right. Materials that don’t engage their audience (e.g. boring materials) tend to get stopped dead in their tracks. But interesting materials have legs and can “go viral”—traveling far beyond their initial distribution. Marketers dream of viral distribution for their products. The ICC can’t accomplish its outreach goals alone. Other organizations—governments, NGOs, academic and civil society associations—have reach and resources beyond those that the ICC can muster. Organizations already receive and repurpose the information disseminated by the ICC. But a partnership implies a closer relationship for a defined activity, where partners put their own resources and networks to work advancing the ICC’s goals. Partners can also be called upon to be a strong voice for the ICC when it’s under attack.64 But that network of support can’t be built overnight. The ICC occupies a privileged position in the constellation of organizations. It is relatively new and can still be agile. Its mission is widely supported. It’s perceived as an important member of the international community. From the perspective of another organization, a partnership with the ICC confers prestige. All of this makes the ICC a valuable partner. The downside of entering into a partnership is that the ICC loses some measure of control. Other organizations have their own goals that may not match perfectly with the ICC’s. For example, the Registry is charged with being neutral in relation to current situations. A partner such as HRW doesn’t operate under that type of restriction—they don’t shy away from advocacy. The trick to creating a successful partnership is to align the ICC’s goals with those of its partner. Where the goals won’t align, create separation. Where projects are a win-win for both organizations, goal alignment is possible. In order to make a partnership work, the ICC has to be on the lookout for these opportunities, and it has to make some changes in its own operations to be a better partner itself.65 Finally, the ICC has to be prepared to cede some control to its partner. How does such a partnership work in practice? Unlike the marketing hypothetical we used to discuss the design process, this example is quite real. Let’s talk about goal alignment. The Forum is funded by the Sanela Diana Jenkins Human Rights Project. For Ms. Jenkins, a survivor of the Bosnian Conflict, the Forum advances her abiding interest in international justice issues. For the students of UCLA School of Law, the Forum represents an opportunity to conduct research and do legal writing on a variety of important topics, for a real audience, alongside some of the most respected and well-known experts in the world. For the UCLA School of Law, the partnership with the ICC confers institutional prestige. For Professor Richard Steinberg, the Forum’s Editor-in-Chief, the Forum affords a leadership position in the scholarly exploration of a new legal discipline—human rights and international criminal law. Of course, it also provides him with an excellent authentic activity68 he can use to teach his students. But what of the ICC OTP’s goals? The Forum provides a variety of viewpoints to help the OTP sharpen its legal thinking on the issues under discussion. The Forum also helps expose the public to some of the complex issues faced by the OTP. And, to help offset the opacity of the internal operations of the OTP, it helps educate the legally-interested public on how the OTP actually works. cultivate a level of awareness and an understanding of the ICC’s mandate and mode of operations. promote access to and understanding of judicial proceedings. foster realistic expectations about the Court’s work. forward the ICC as an entity that can provide a positive force for peace and justice in the world. create a central resource for international criminal law. develop a positive image of the Court and address political and media attacks. assist the ICC in being part of the news cycle on relevant, trending issues. The Forum is a credible source of unbiased information about the ICC precisely because it entertains a wide variety of opinions, including those critical of the Court. How can we claim that the Forum helps provide a positive image of the Court when it hosts some opinions that are openly hostile to the Court? There are comments on the Forum that accuse the Court of being an instrument wielded by western powers to exert colonialism over Africa; that criticize the Court as being too slow or ineffective to provide a real deterrent; and that attack the Court for having a hidden political agenda. The Forum is a credible source of unbiased information about the ICC precisely because it entertains a wide variety of opinions, including those critical of the Court. We’ve all developed a finely-tuned sense that rejects the unrelenting flow of flattery that many organizations heap upon themselves in their marketing materials. Every important institution has detractors. That the ICC welcomes negative opinions says a lot about the institution. It’s not about bravery. Rather, akin to the adversarial process said to be a courtroom’s crucible for truth, the Court shows that it is unafraid of being challenged, and perhaps improved, through analysis and debate. Those negative opinions are also at a distance from the Court. There’s a separation between an open online discussion run by the UCLA School of Law and the ICC itself. That separation is an important benefit of a partnership with another organization. Whatever happens on the Forum isn’t attributable to the ICC. Partnerships do require something of a cultural shift—a leap of faith perhaps—where the ICC doesn’t see the landscape as “us versus them.” Rather, the ICC needs to trust its partners and see itself as part of a community of generally like-minded people and organizations, sympathetic to each other, each trying to do the right thing, and all dedicated to international justice and human rights. The effort spent reaching those 35,000 people in a year was significant.72 The money and other resources73 used for this effort were diverted from other outreach efforts that could have reached a much wider audience. Was it worth it? If it was intended as a charitable effort, how much good did it do? If it was a marketing effort, how effective was it in comparison to its cost? At this point in the ICC’s history, the ICC can communicate its aspirational goals to the Affected Public, but little that has a current impact on their lives and security. Each of the situation countries has other Organizations—NGOs, governmental and religious groups, and civil society associations—that, together with local news media, keep their populations appraised of the work done by the Court. These groups are part of these communities and are immersed in their culture. They are the insiders.79 Isn’t it up to them—and not the Court—to disseminate this information?80 Isn’t the ICC more likely to spread news of its activities by concentrating its efforts on these other Organizations? Should the ICC really create groups of on-the-ground personnel traveling around rural areas in situation countries to try to bring news about the ICC, in-person, to people without access to technology? If the ICC improves the situation on the ground, the Affected Public will know about it, even if they’ve never heard of the ICC. The ICC can use an in-person outreach program to take credit for positive changes in people’s lives, facilitate their understanding of the Court, and try to garner their support. But that’s a marketing effort designed to advance the goals of the ICC rather than an act of service to the Affected Public. The Website serves diverse audience groups, each with specific needs. The general public requires contextualization to understand the Court. Media and Organizations seek News Materials. Students writing a report on the ICC seek Context Materials. Practitioners and scholars seek a definitive source for the official documents of the Court. The Affected Public seek information on interacting with the Court. The Website needs to be technically competent, modern in design, usable across a variety of devices, and easy to search and navigate. Currently, the content is mostly text with a few images. There’s little video or other rich media.87 Because the Website is a resource for the Court, and for international criminal law generally, the location of deep content on the Website needs to never change once it has been posted. Technically, the ICC’s Website is built upon a Content Management System (CMS). A CMS is a software tool designed to manage a website, ideally separating the content from its presentation on a webpage. A database usually contains the content or its representation.95 A handful of templates contain the presentation of the webpages. The CMS merges the database content with the presentation found in the appropriate template and produces the pages actually seen by the user—with a header, footer, sidebar, links, and text. Which CMS to adopt is an important decision.96 Once implemented, the choice is locked in—it’s difficult to move content from one system to a different vendor’s system later on. But the templates, that contain the visual presentation of the website’s content, are much more flexible. The templates should be periodically adjusted so that the visual presentation they control is kept fresh over the life of a website. The public-facing front end of the Website suffers from clear neglect and needs competent attention. It’s an effort to manage a website for an organization as large and complex as the ICC. But it’s an important effort that has to be done properly. Whether the back end of the Website is adequate for the needs of the ICC is unknown to us. But the focus for the Website cannot all be directed inwards towards the needs of the organization; it needs to be directed outwards, towards the needs of its users. And, right now, the public-facing front end of the Website suffers from clear neglect and needs competent attention. When an organization loads too many objectives onto its outreach program, there’s a loss of focus. Materials that try to address too many goals end up not effectively supporting any of them. The outreach effort gets stretched too thin. The ICC has a wide range of goals and a wide range of audiences. Rather than try to address all the goals with a single product, the ICC needs to create particular materials to address particular goals with particular audiences. Outreach materials cleanly divide into news and context. News Materials need to be continuously created in-house on a schedule. But Context Materials should be more considered than that. Because they are not time sensitive, they can be carefully designed to communicate effectively with their audience. Unfortunately, much of the ICC’s available outreach materials are uninspired and dull. Creating good content is hard. But an organization such as the ICC can certainly find the talent and resources necessary to do so, even if it isn’t available in-house. The audiences for the outreach materials have different needs. It’s best to divide the audiences based upon how they are likely to use the ICC’s information—supporting those uses where possible. This amplifies the distribution of the ICC’s products without adding to their cost. The ICC can’t do it alone. It needs to enter into partnerships with other organizations—governments, NGOs, academic and civil society associations—that have reach and resources beyond those that the ICC can muster. The ICC Forum—this website—is an example of how an effective partnership can work to advance the ICC’s goals without significant cost to the ICC. We argue against sending representatives in-person to remote rural regions of the world to try to bring news of the ICC’s activities to the Affected Public. Even if the ICC has altruistic motives, this field outreach isn’t done for charity; it’s done to advance the ICC’s goals. And it must advance those goals sufficiently to justify its cost. Currently it doesn’t. The ICC’s Website is its most important outreach tool. The Website could be very effective in addressing audiences of different interest levels, educational attainment, language, and culture. The Website is also the reservoir of all the ICC’s materials—and the custodian of its history and legal legacy. But the public-facing side of the website is stale. It’s text heavy and gray. It doesn’t communicate well to the variety of people who come seeking information. And it has a number of technical problems. Examples include: failure to adapt for mobile devices (a poor experience for mobile users), mixing content with presentation (a maintenance headache), and not supporting link permanence (a decrease in value as an archive of international criminal law). The Website is primarily a communication tool, and yet its focus seems to be directed inwards, towards the needs of the Court, rather than outwards, towards the needs of its audiences. The Website has been neglected; we suspect that it is underfunded. Given its importance to the outreach effort, it should attract a larger share of the outreach budget. These issues require a strong response from the Court. However, it’s all too easy to get lost in the weeds. Beyond public relations and the News and Context Materials, there’s a need for something more in the ICC’s outreach effort. The ICC is the world’s most recent expression of a desire for international criminal justice. People everywhere want accountability for the crimes that are committed against them. If not yet an expectation, justice is at least an aspiration. The Court is a radical innovation where a large majority of the world’s countries have surrendered a piece of their individual sovereignty to collectively say “no more” to the scourge that war inflicts upon civilians. The ICC’s outreach effort has to go beyond the ICC itself and help sell the Rome Statute ’s vision of international criminal justice to the world. While the promise of the Rome Statute is yet to be fully achieved, the ICC as an institution needs to change societal norms of war and impunity. Figure 7 ICC Outreach must reach different levels of social organization to cause societal change. The DRC is a large country. The capital city of Kinshasa—where the ICC has its field office—is located in the west. The conflict region is primarily in the east. Being located in Kinshasa has advantages for the ICC: they’re near the seat of government and the headquarters for media organizations, and it is relatively secure. But it also makes it very difficult to reach the conflict area in the east. The infrastructure necessary to make the trip by land vehicle just doesn’t exist. International Criminal Court, Video: Making Justice Meaningful, YouTube (Dec. 8, 2010) at 1:25, available online. Strategic Plan, supra note 4, at 3. Among the affected population, there are high expectations about the Court. Outreach activities need to explain that the Court will not prosecute all persons who have committed crimes in the region. This is coupled with their expectation that the Court will provide comprehensive reparations for the crimes committed against them. Good photography is a valuable communications asset that can create a big impact and doesn’t require translation. A good photograph is useful to make a strong layout for a print piece or a website. A good photograph can convey emotion, or suggest trust, or compassion, or dedication, or dignity. On the other hand, poor photography creates little impact and produces a bad impression. That bad impression bleeds over, contaminating whatever message was intended to be conveyed. In marketing circles, there’s a well-known story about how an airplane’s dirty exterior caused passengers to unfairly make negative inferences about its engine maintenance. They might not know about mechanical safety, but they know about dirt. Using the ‘if we build it, they will come’ approach to distribution just doesn’t work. A plan must be created and executed to get materials to the attention of their appropriate audiences. Creating materials that no one sees is a wasted effort. The designer and the producer are often the same person, which can be helpful. For the designer, there’s an opportunity to design to her production strengths and, when she’s the producer, she will certainly buy into her own design. Sometimes, however, the producer delegates the execution to many different specialists—here, the producer might employ a social media expert, a public relations consultant, a webmaster, a layout artist, and so on. Generally, larger teams have greater bandwidth—they can produce content more quickly—but they are less efficient than smaller teams. For one thing, there’s a significant cost to maintaining accurate communication—meetings and the like—between team members. See generally, Frederick P. Brooks, Jr., The Mythical Man Month: Essays on Software Engineering (Addison-Wesley 1975), available online (last visited Feb. 5, 2015). It was sometimes difficult to hold outreach activities in the interior owing to the lack of adequate means of communication (Internet and telephone). The Court staff members sometimes found it difficult to inform the local authorities and leaders of civil society about their visits and proposed activities. The authorities and leaders likewise had difficulty contacting the Outreach Unit’s staff members. As a result, the population’s involvement in the outreach activities was less than optimal. Moreover, the calendar of activities in the interior frequently had to be adjusted to take certain realities such as climate constraints into account. During the rainy season (June–November), it was difficult to ascertain how many participants would attend the outreach activities as many people do not go out in the heavy rain. Furthermore, for the rural population, the demands of the agricultural calendar are more pressing than the Court’s activities. Was this the first time that you heard about the ICC? Did you learn anything today that was important to you? Will you discuss what you learned here today with other people? Is there anything that you will do as a result of this meeting? Would you recommend that others come to a meeting like this? Do you understand more about how the ICC works? Are there any issues that you do not understand? Are you happy with the presence of the ICC in your country? Have you been personally affected by the types of crimes that the ICC is investigating? How do you get your information? Radio. Word of mouth. Other meeting. Newspaper. Other. TV. Poster. The ICC has already produced videos that would be appropriate for use on its Website. See, e.g., discussion, supra note 59. Technically, it’s trivial to embed a YouTube video on a webpage. Adding video would improve the richness of information presented on the webpage; more people would see the video; and, since the video has already been produced and approved, it would cost the ICC almost nothing. Since it would plainly be a marked improvement, why are there so few videos on the ICC’s Website? Outreach in Democratic Republic of the Congo, Int’l Crim. Ct., available online, archived (last visited Feb. 8, 2015). See also, e.g., Timeline, Int’l Crim. Ct., available online, archived (last visited Feb. 8, 2015), (the ICC timeline in its educational resources section, which ends at 2012, as if the Court had no significant events in 2013 or 2014). See also, e.g., Publications: Outreach—Democratic Republic of the Congo, Int’l Crim. Ct., available online, archived (last visited Feb. 8, 2015), (the list of DRC Outreach publications that begins and ends with documents produced on one day, the 12th of January 2007). The ICC Website manages a large number of documents. But it doesn’t compare to a site like YouTube that manages at least several hundred million videos. Cf. YouTube Statistics, YouTube, available online (last visited Jan. 30, 2015). The YouTube URL here (hover to view) points to a single video out of all those millions and is only 27 characters in length. Compare it to an ICC Website URL here (hover to view) at 98 characters. Many of the ICC’s URLs are even longer than that. See discussion, infra note 91 (a 137 character URL which points to the OTP main page). For just a few examples of the problems caused by very long URLs: they can’t be transmitted through non-digital communication, they are almost impossible to write down accurately, they are easily garbled; they would be very difficult to manually type into a web browser, they are too long to fit on a single line in a citation (URLs can’t be hyphenated); they frequently break when sent via email and the link wraps; they can’t be easily read and understood by humans; and so on. About 2012, many URLs on the ICC Website were actually lengthened and became more unwieldy and unreadable. For example, the URL for the OTP’s main page used to be this 81 character link (hover to view). It was changed to this 137 character link (hover to view). “Breaking the web” is a serious problem, especially for an organization that sees itself as a primary archive and resource for international criminal law. Included below are a few well-known organizations—among thousands—hosting links to the ICC’s Website that now fail: the United Nations, the New York Times, the Harvard Law Review, Human Rights Watch, the International Bar Association, the American Society of International Law, the Journal of International Criminal Justice, the Court’s own decisions, the ICC’s own YouTube channel, and the Coalition for the International Criminal Court. An offline site would be created. The site would be accessible only from within the Library and Research Centre. The site would reside on the ICC Intranet […] There would be a specific section of the website created to promote and explain the historical site. The section would feature the request form to visit the site. See Responsive Web Design, Wikipedia, available online (last visited Jan. 28, 2015). As an example, the ICC Forum uses responsive design principles to adapt to a wide variety of screen-sizes. The website isn’t just scaled down to fit on small screens. Rather, the presentation is changed by rearranging, removing, and resizing individual elements as appropriate, to give a good experience to users on mobile devices as well as desktops and laptops. The ICC Website shrinks down to fit on a mobile phone but doesn't adjust its presentation for the small device. Tiny navigation targets and even tinier print are daunting obstacles to mobile users. Christopher Werby & Olga Werby, Practical Strategies for ICC Outreach, ICC Forum (Feb. 17, 2015), available at https://iccforum.com/outreach#Werby.